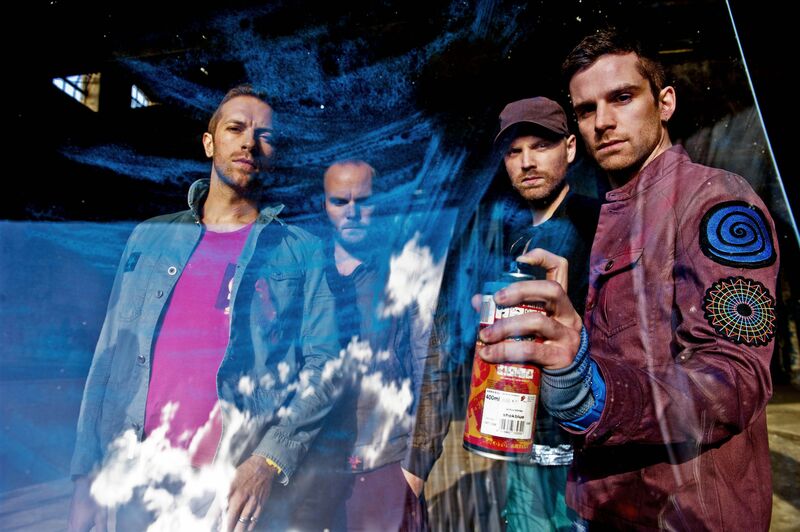 Coldplay’s fifth studio album Mylo Xyloto is an emotional artistic leap of faith into the 21 Ist century. And as you jump into it, Johnny Buckland, Chris Martin, Guy Berryman, and Will Champion will be right there with you. For every person that feels like their world/our world is out of reach and out of touch, Coldplay have given you a blanket of songs and hope that even though it’s us against them or you versus the world. Check out Us Against the World, where “the devil is talking with those angel eyes or Charlie Brown,”where my heart gets smashed to smithereens’ it’s profound stuff but Chris Martin and the band have their audiences back. On Princess of China where Rhianna joins the band the synths and beat smashes up against a killer vocal interchange. It can’t miss . Up In Flames is tender and almost sounds like a young Brian Wilson mid 60’s. Simply gorgeous. This is such a layered album that as you may have noticed on the band’s Letterman appearances the core four have used a lot of backing tracks to make the sound HUGE. JOHN EMMS is read in 104 countries..A veteran music journalist, musician and radio host. 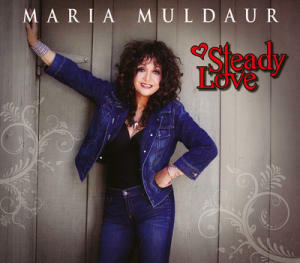 Backed by a soulful band of musicians Maria Muldaur’s new album Steady Love is downright inspiring. Let me make this clear. Muldaur’s voice has none of it’s seductive phrasing. 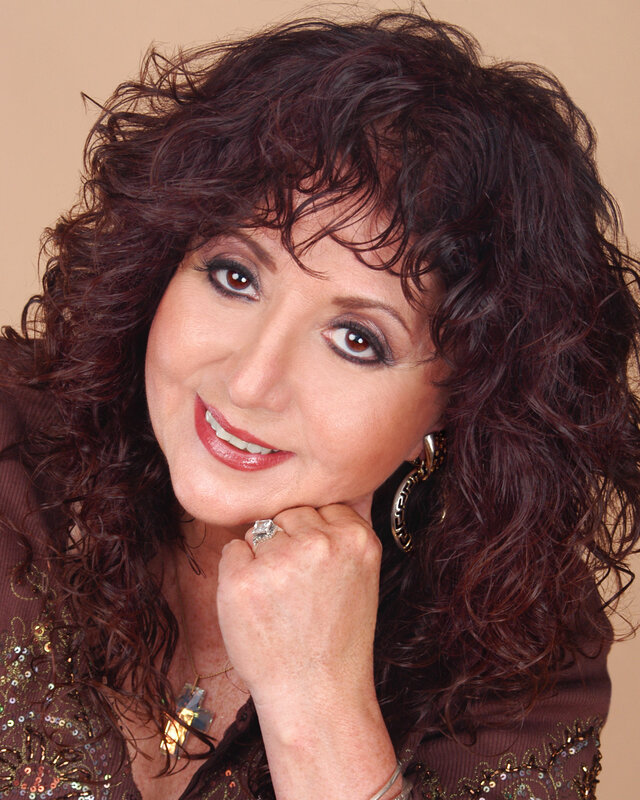 In fact, some younger female singers can learn a heck of a lot just by listening to her new cd. To be fair Muldaur has sung a lot of styles of music. Folk, jug band, gospel, jazz etc. But my fave of Muldaur’s is R & B followed closely by blues roots music. The core band of Dave Torkanowsky on keys, guitarist Shane Theriot, bassist Johnny Allen and drummers Kenny Blevins/Shannon Powell are very supple and mindful of Muldaur’s vocal prowess. Just check out Muldaur’s take on Elvin Bishop’s I’ll Be Glad or the super slinky take on the Bobby Charles classic Why Are People Like That. With Theriot’s galvanizing note bending and the band up and in the pocket it does not get any better folks. Elsewhere on Soulful Dress, Get You Next to Me or on Rick Vito’s I Am Not Alone where Muldaur shares the sweet harmony with Jenni Muldaur you simply can’t miss. THIS CD will make my top 10 list for 2011. As a sidenote, this is one of the best sounding cd’s I have heard this year. 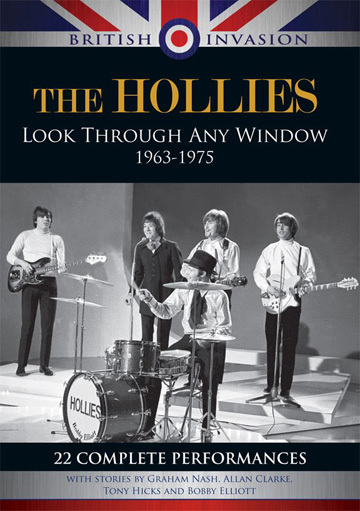 The HOLLIES Look Through Any Window spanning 1963-1975 is one of the best retrospectives I have seen. Most of the film focuses on the Graham Nash/Allan Clarke era of the British Invasion from 1964 till 1969 with both men interviewed on film and narrating. 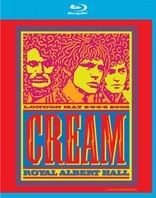 It gives the viewer amazing insight into the band and the mid 60’s era. 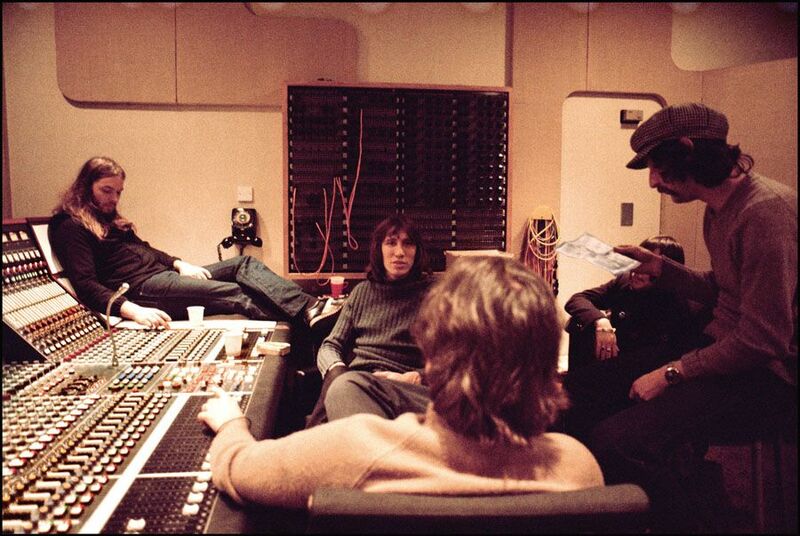 Easily one of the best parts in the film is the Hollies in the EMI Studios at Abbey Road recording harmonies for On a Carousel. It simply is breathtaking at how well these guys could sing and how well the band could play. An absolute must have film for any fan of the British Invasion and The Hollies! Outstanding versions of Outside Woman Blues, Sleepy Time Time and Clapton’s guitar solo on Stormy Monday take you into Jam Land with very hip results. In addition the band rips into different and solid versions of their hits Sunshine of Your Love, Badge, White Room, and Crossroads. Recorded over 4 nights in May of 2005, this concert is a snapshot of the band in their sixities and quite different than when the band was only 25 years old and blowing out venues with 20 minute songs. It would have been nice to see what would have happened over let’s say a 10 or 15 date world tour. Why should you buy the new Pink Floyd remasters? Quite simply for new fans this will be a mind blowing experience. If you have only heard the band on your radio or Apple iTunes then you will be in for an amazing journey of timeless music with the Discovery Editions. If your an older dedicated fan you will more and likely enjoy the new booklets, artwork, remastered sound and will devour the Immersion CD/DVD/BLU-RAY/Memorabilla Box Sets. Here is what I have on the new remastered Discovery Editions/studio albums. The Piper at the Gates of Dawn-Their 1967 debut with Syd Barett on guitar and doing almost all of the songwriting. An absolute psychedelic masterpiece of “Brit” electronic/rock and pop. Stunning remaster by James Guthrie compared to the sound from my original vinyl album. Get it. Ummagumma-From 1969, a two cd set with again upgraded and very cool mixes on the ‘live” album. The ‘new band rips into the Syd Barett material but now with David Gilmour on lead guitar and vocals. Here is where Pink Floyd made their mark as a band to reckon with in a live context. Superb set. The studio side is much more experimental with all four members contributing. Wish You Were Here-From 1975, this upgrade has a very cool photos, an excellent booklet and of course without a doubt one of their most timeless sets of music. Some call it a masterpiece, even though I prefer Dark Side of the Moon. Interplay between the band and Gilmour’s guitar work is mind blowing. Superb work from the whole band including piano/keyboard man Richard Wright. Get it! Obscured by Clouds-This 1972 film soundtrack for the La Valee movie precedes Dark Side of the Moon by less than one year. Very interesting material, but for major fans of the band. For me this was stronger work than most people give it credit for. Of course it is not as strong as The Wall, Dark Side etc, but Richard Wright is in fine form and lyrics by Polly Sampson with Gilmour are excellent in a number of places. 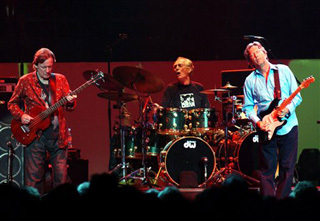 Drummer Nick Mason shines and these songs stand up in Gilmour’s live shows. Get It!! 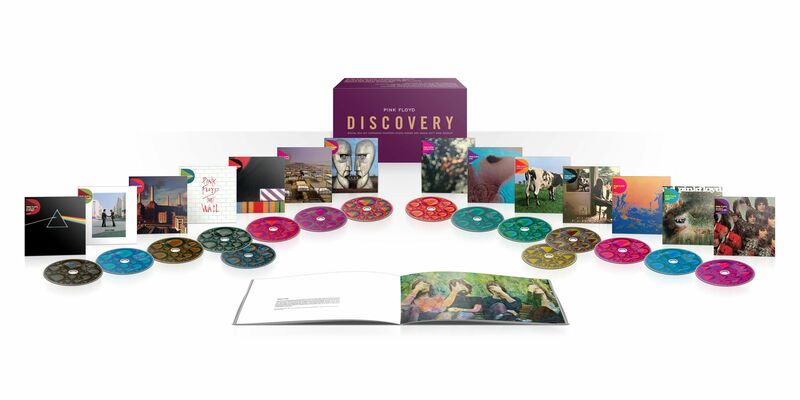 Look for more of my Pink Floyd Discovery Edition reviews of the new EMI remasters over the next month. Wake up and listen. 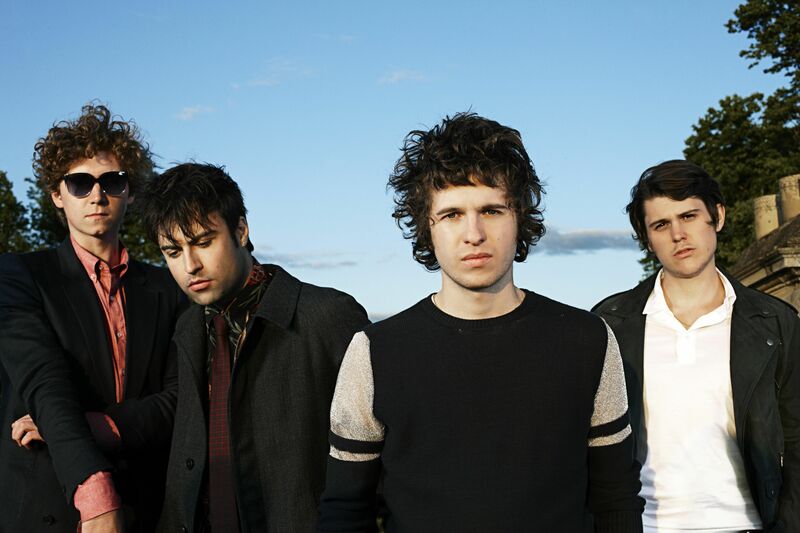 The Kooks want you to grow with them. Sure, they may have tinkered with their sound a bit. But, whatever way you look at it, Junk of the Heart is a modern, intelligent pop album that gets better with repeat listens. If you want to click through your Apple Iphone 5 or jabber away on facebook your not going to “get it”. Try loading this cd into your vehicle, going for a drive and crank up the volume. Think LCD Soundsytems’s feel on Drunk Girls mixed with mid period Supergrass and a Brighton pub on Saturday night and you will get an idea of the groove here. The title track is a relationship song driven by an infectious vocal hook. If given the time of day this track could be a monster North American radio fave. How’d You Like That tries a bit too hard to be likeable pop, but Rosie is strong song born out of a very different groove that could have been mid 70s Kinks material if the Kinks were 25 years old in 2011. If you can’t be moved by songs like Killing Me or Mr Nice Guy your on the wrong planet. The only problem I can see is how the four can pull off some of the more ambitious tracks on this cd in a live context. Strong work by songwriter/vocalist Luke Pritchard, yet the whole band finds space. Personally, more use of Hugh Harris’ guitar lines would have been nice, but that’s a minor quip.